"Women's Super League" redirects here. For the top level of Women's Rugby League in England, see Women's Super League (rugby league). For the Irish basketball tournament, see Women's Super League (basketball). "Women's Super League" redirects here. For the top level of Women's Rugby Union in England, see Premier 15s. 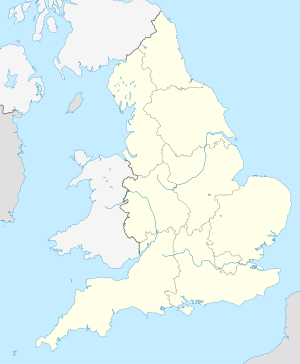 The Football Association Women's Super League (FA WSL) is the highest league of women's football in England. It is run by the Football Association and began in April 2011. An initial eight teams competed in the inaugural 2011 edition, which replaced the FA Women's Premier League as the highest level of women's football in England. Between 2014 and 2018, FA WSL consisted of two divisions–WSL 1 and WSL 2–and brought promotion and relegation system to the league. Since the 2018–19 season, FA WSL 2 is now known as the FA Women's Championship and remains the second division in the English women's football pyramid. WSL has operated as a summer league running from March until October, from its creation until the end of the 2016 season. From autumn 2017, the league operates as a winter league from September to May, with a one-off shortened bridging season, known as the FA WSL Spring Series, held between February and May 2017. The WSL champions and runners-up qualify for the UEFA Women's Champions League the following season. The current FA Women's Super League champions are Chelsea, who won the 2017–18 edition. The FA WSL was due to start in 2010 but was deferred for a year due to the global economic downturn. Sixteen clubs applied for 8 places in the inaugural season of the league: Arsenal, Barnet, Birmingham City, Bristol Academy, Chelsea, Colchester United, Doncaster Rovers Belles, Everton, Leeds Carnegie, Leicester City, Lincoln Ladies, Liverpool, Millwall Lionesses, Newcastle United, Nottingham Forest, and Sunderland. Leeds Carnegie later withdrew their application. Women's Premier League clubs Blackburn Rovers and Watford declined to apply. FA Chief Executive Ian Watmore described the creation of the league as a "top priority" in February 2010. The inaugural WSL season started on 13 April 2011. For the 2014 season the league was extended. A second division was created named FA WSL 2, with nine new teams added and one team being relegated from the WSL 1. WSL 1 remained as eight teams, with the WSL 2 having ten teams. The new WSL 1 licence was awarded to Manchester City. Doncaster Rovers Belles were relegated to the WSL 2. They appealed against their demotion, but were unsuccessful. In December 2014, the FA WSL announced a two-year plan to expand the WSL 1 from an eight to a ten-team league. Two teams were promoted from the WSL 2 at the end of the 2015 season, while one team was relegated to the WSL 2. Also, for the first time, a team from the FA Women's Premier League earned promotion to WSL 2, effectively connecting the WSL to the rest of the English women's football pyramid. The FA announced in July 2016 that the league would move from a summer league format to a winter one in line with the traditional football calendar in England, with matches played from September to May the following year. A shortened bridging season took place, branded as the FA WSL Spring Series, with teams playing each other once from February to May 2017. 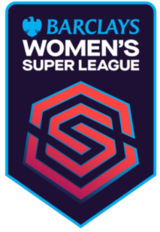 Following the 2017–18 FA WSL season, the league was re branded as the FA Women's Super League, becoming a fully professional league for the first time with eleven teams for the 2018–19 season, complete with a new league logo. Teams had to re-apply for their licence to earn their place in league, requiring clubs to offer their players a minimum 16 hour a week contract and to form a youth academy as compulsory for the new licence criteria. Sunderland were moved down to tier 3 in the women's football pyramid after not receiving a licence whilst Brighton & Hove Albion and West Ham United were added to the league. In March 2019, the Women's Super League agreed a multi-million sponsorship deal with British bank Barclays from the start of the 2019-20 season. The three year sponsorship deal is reported to be in excess of £10 million with a prize money pot of £500,000 for the league champions for the first time. The FA described the deal as "the biggest ever investment in UK women's sport by a brand". The FA Women's Super League currently consists of eleven clubs. Initially the league was described as professional, with the top four players on each team being paid an annual salary in excess of £20,000. However, in November 2010 it was confirmed that the WSL will be semi-professional, with only a "handful" of top players full-time. Clubs' annual wage bills were expected to be approximately one-tenth of those in the now-defunct American Women's Professional Soccer. During the inaugural campaign, a mid-season break commenced on 12 May 2011, to allow for the 2011 FIFA Women's World Cup. The season then resumed in early July, finishing in August 2011. After the league fixtures, the teams compete for a knock-out cup competition, the FA WSL Continental Cup. For the 2014 season, the teams were placed into three regional groups of six. The group winners and best-performing runners-up all advanced to a knockout semi-finals. Since the 2015 season, the WSL Continental Cup have been played simultaneously with the league season. Following a review, the FA announced in September 2017 that a restructuring of the league and its licensing criteria will follow from the 2017–18 season with a goal of a fully professional top division of between 8 and 14 teams, and a second division of up to 12 semi-professional teams. For the 2018–19 season, the league was expanded to eleven teams and became fully professional. The league's lead sponsorship partner has been Continental Tyres since 2012. In 2013, it was announced that Continental had extended their partnership as the exclusive partner of the FA's new commercial programme from 2014–2018 and includes the England women's national football team, FA Women's Cup and the FA WSL Continental Cup in addition to the WSL. During the 2010 season, Yorkshire Building Society was also a sponsorship partner along with Continental. As of the 2017–18 season, many FA WSL games are broadcast on television by BT Sport, online and red-button by the BBC, and via the league's Facebook page. Previously, games were broadcast via ESPN from 2009 to 2013 as part of an exclusive four-year broadcast rights deal. Six live matches were broadcast in 2011 in addition to a weekly highlights package, with ten games expected to be shown in 2012. ESPN broadcast the opening game of the WSL between Chelsea and Arsenal at Imperial Fields, Morden on 13 April 2011, a game Arsenal won 1–0 with a first half goal by Gilly Flaherty. The second televised game took place on 12 May 2011 as Doncaster Belles lost 1–0 to Everton Ladies at the Keepmoat Stadium, Doncaster. In 2013, BBC Two broadcast four WSL programmes during the 2013–14 season. Each programme featured goal round-ups, highlights, features and previews of England's World Cup qualifiers. The following eleven clubs are competing in the 2018–19 season, with foundation clubs displayed in bold text. In the first season of the WSL clubs were subject to a squad cap of 20 players. This proved unpopular with both managers and players. Ahead of the 2012 season, the rule was reviewed and the cap increased to 23 players. Players from outside the European Union are subject to Home Office work permit regulations, like their male counterparts. The FA said in April 2012 that the salary rule of allowing only four players per team to earn over £20,000 and the fact that all clubs are paid £70,000 per season from a Club Development Fund should limit any financial "imbalance" between clubs. However, the introduction of a genuine salary cap remained under consideration for 2013 and beyond. Doncaster manager John Buckley revealed that his club lost Rachel Williams and other players to Birmingham City because he was working to a budget eight times smaller than that enjoyed by Birmingham. When the 2012 WPS season was cancelled in the United States, Lincoln Ladies manager Glen Harris said that the next destination of that league's British players would be decided by "pounds, shillings and pence." Ultimately Kelly Smith, Alex Scott and Gemma Davison all joined Arsenal, while Ifeoma Dieke and Anita Asante joined the Swedish Damallsvenskan in preference to the WSL. ^ a b "FA Women's Super League to move to new calendar in 2017". The FA Women's Super League. The Football Association. 12 July 2016. Retrieved 12 July 2016. ^ Josh Hunt (15 May 2018). "Bristol City Women 0–2 Chelsea Ladies". BBC Sport. Retrieved 15 May 2018. ^ Tony Leighton (6 April 2009). "Anger at delay of women's summer Super League". The Guardian. Retrieved 8 March 2010. ^ "Super League's Sixteen Applicants". Shekicks. 7 January 2010. Archived from the original on 24 March 2010. Retrieved 8 March 2010. ^ Tony Leighton (25 January 2010). "Leeds Carnegie could fold after ending Super League interest". The Guardian. Retrieved 8 March 2010. ^ "Rovers decide against Super League". Blackburn Rovers. 20 January 2010. Archived from the original on 29 March 2012. Retrieved 2010-03-08. ^ "Watmore outlines top priorities". The Football Association. 22 February 2010. Retrieved 8 March 2010. ^ "FA WSL 2014: Applications". thefa.com. Retrieved 27 May 2013. ^ "FA WSL 2014-2018 brochure". thefa.com. Retrieved 1 March 2013. ^ "The FA WSL Club Development Plan". thefa.com. Retrieved 27 May 2013. ^ "Clubs bid for WSL spot". thefa.com. Retrieved 27 May 2013. ^ Baber, Mark. "Doncaster Belles lose appeal over demotion from Women's Super League". Inside World Football. Retrieved 17 April 2014. ^ "FA WSL 2 promotion announcement". Faws1.com. Retrieved 18 December 2014. ^ "BBC Sport – Women's Super League to be expanded from 2015". BBC Sport. Retrieved 18 December 2014. ^ "Sheffield FC beat Portsmouth in Women's Premier League play-off". BBC. 24 May 2015. Retrieved 29 July 2015. ^ a b Louise Taylor (28 May 2018). "West Ham the big winners, Sunderland key losers in women's football revamp". The Guardian. Retrieved 29 May 2018. ^ "New look revealed for FA Women's Super League". fawsl.com. The Football Association. 6 June 2018. Retrieved 7 June 2018. ^ "Women's Super League: New full-time, professional era - all you need to know". 9 September 2018. Retrieved 27 March 2019. ^ "Women's Super League: Barclays agree multi-million sponsorship deal". 20 March 2019. Retrieved 27 March 2019. ^ Tony Leighton (1 November 2009). "FA to launch full-time professional Women's Super League in 2011". The Guardian. Retrieved 8 March 2010. ^ a b c Tony Leighton (14 November 2010). "FA confident 'Super League' will not suffer financial meltdown". The Guardian. Retrieved 23 November 2010. ^ a b "FA WSL launches with derbies". UEFA.com. 23 December 2010. Retrieved 27 December 2010. ^ Laura Hardy (27 July 2011). "The FA brings the Continental Shot Stoppers Road Show to Everton". Conti.de. Retrieved 10 August 2011. ^ The Football Association (27 September 2017). "FA to restructure women's football pyramid at elite level". thefa.com. Retrieved 27 September 2017. ^ "Continental Tyres Renews Women's Super League Sponsorship in New FA Deal". isportconnect. Retrieved 15 August 2013. ^ "FA Extends Deal With Continental Tires To Become Exclusive Women's Football Partner". Sports Business Daily. Retrieved 15 August 2013. ^ "Two WSL partners announced". She Kicks. 11 April 2011. Retrieved 12 April 2011. ^ Association, The Football. "Broadcast boost for WSL". www.thefa.com. Retrieved 14 April 2018. ^ "FA agree Cup deal with ESPN". The Football Association. 8 December 2009. Archived from the original on 14 September 2012. Retrieved 8 March 2010. ^ "Women's Super League to be shown on the BBC". BBC. Retrieved 15 August 2013. ^ "Confirmation of clubs in 2018–19 FA Women's Super League". www.fawsl.com. FA Women's Super League. Retrieved 31 May 2018. ^ "Matt Beard/ Chelsea LFC". shekicks.net. 6 September 2011. Retrieved 8 April 2012. ^ "WSL progress continuing, says Liverpool's Vicky Jones". 15 June 2011. Retrieved 8 April 2012. ^ "FAQ's - 15 to 20". www.fawsl.com. Retrieved 14 April 2018. ^ a b "FAQ's 15 to 20". FAWSL. 3 April 2012. Retrieved 8 April 2012. ^ "FAQ's 21 to 28". FAWSL. 3 April 2012. Retrieved 8 April 2012. ^ "Buckley – We Were Outclassed". Doncaster Rovers Belles. 5 September 2011. Retrieved 9 April 2012. ^ Whiley, Mark (13 February 2012). "Lincoln Ladies boss Glen Harris continues search for global talent". Lincolnshire Echo. Retrieved 9 April 2012. ^ "England's Kelly Smith and Alex Scott rejoin Arsenal Ladies". BBC Sport. 9 March 2012. Retrieved 15 April 2018. ^ "Gemma Davison rejoins Arsenal Ladies | Ladies News | News | Arsenal.com". 26 January 2013. Retrieved 15 April 2018.